All Shady Shores homes currently listed for sale in Shady Shores as of 04/24/2019 are shown below. You can change the search criteria at any time by pressing the 'Change Search' button below. If you have any questions or you would like more information about any Shady Shores homes for sale or other Shady Shores real estate, please contact us and one of our knowledgeable Shady Shores REALTORS® would be pleased to assist you. "LAKEFRONT dream home and location! Come enjoy this beautiful country cottage next to Lake Lewisville and watch the most incredible sunrises and sunsets in DFW. Bring all your toys! Off street parking for boats, trailers, in laws and out laws. Store them in your RV and boat parking, with two additional garages, for a total of 7 covered parking spots! 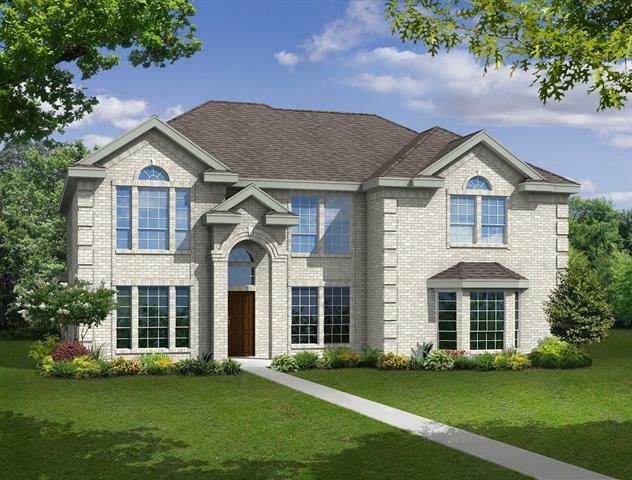 Enjoy the tranquility by the lake or entertain guests by a beautiful custom pool with patio and fireplace. The main home has been remodeled with rus"
"WOW! What a beauty! Move in & enjoy the privacy of an acre+ lot. This home boasts many special features & top of the line finishes. Wood flooring, plantation shutters, magnificent cabinetry & much more. Great floor plan with first floor master, study & guest room. The kitchen will delight the family chef with granite counters, stainless appliances, veggie sink, gas cook top & double ovens. Enjoy an upstairs media room with wet bar! 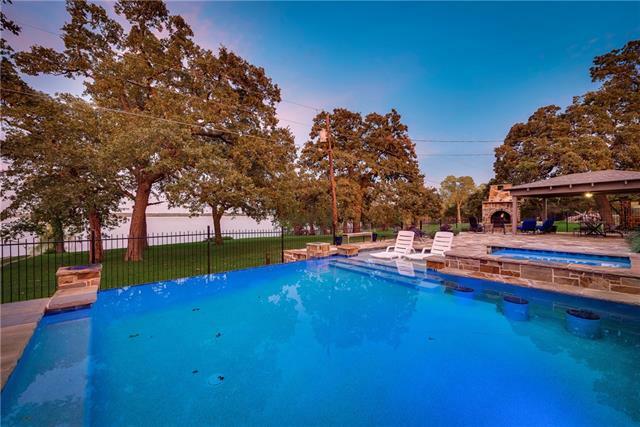 The backyard oasis is a dream-salt water pool with abundant deck"
"5 ACRES of LAKE LEWISVILLE LAKEFRONT property PRICED BELOW ASSESSED VALUE with stunning lake views via 275 feet of unobstructed main frontage! LIVE ON THE WATER IN DFW! Enjoy the existing 3 bed 2 bath home on the property; build your dream home or develop the land into roughly 7 new home sites! 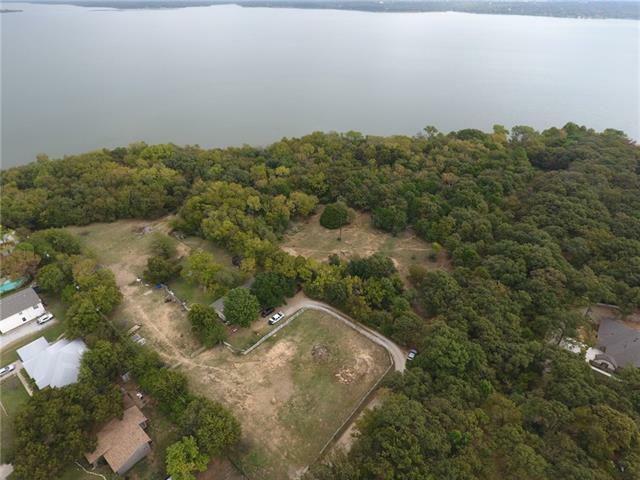 Another option is building your dream home on roughly 2.5 acres with a stunning lake view and sell 4 lots - all of which would be over a half acre. Enjoy the eastern sunrise over the lake from your porch "
"MLS# 14071821 - Built by Gallery Custom Homes - August completion! 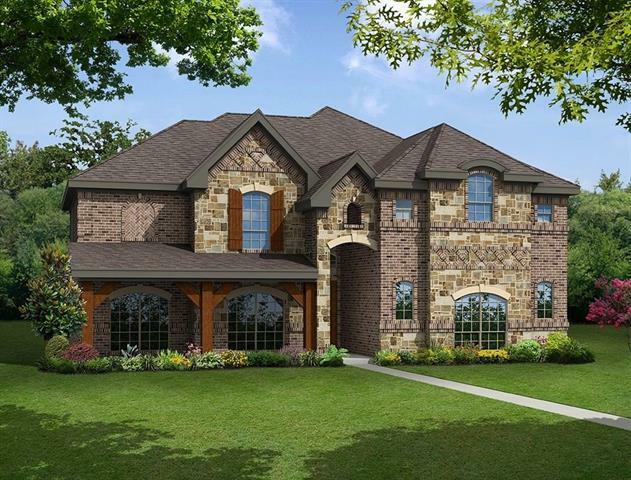 ~ This beautiful home boasts a custom elevation with stone detail, a covered patio for outdoor relaxation and amazing finish detail throughout!. Features include extensive wood flooring, a towering stone fireplace in the family room and a stunning curved staircase with iron railings. The gourmet kitchen is complete with custom cabinets, granite counter-tops, stainless steel appliances including a 5-burner gas cook-top! Additional"
"MLS# 14071814 - Built by Gallery Custom Homes - July completion! ~ Fabulous custom home with tons of curb appeal.. The elevation includes a front porch, balcony and detailed stone work. The interior features extensive, upgrade wood flooring and a soaring stone to ceiling fireplace. The gourmet kitchen boasts custom cabinets, granite counter-tops and stainless steel built-in appliances complete with a butler's pantry!" 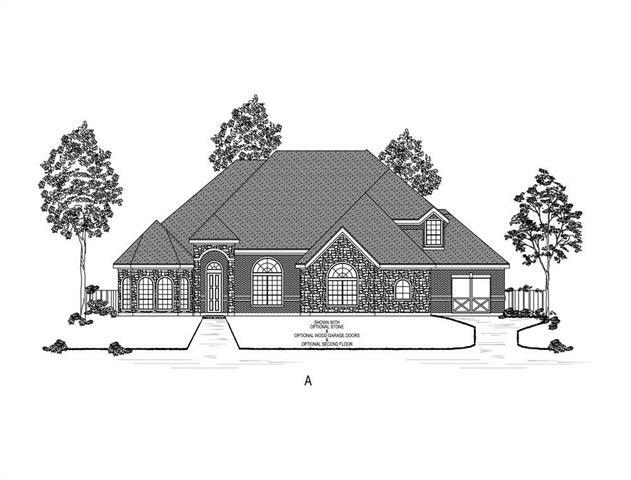 "MLS# 14071818 - Built by Gallery Custom Homes - August completion! ~ This custom home sits on an over-sized lot with upgrade stone on the elevation.. Features include tile flooring that looks like wood, a gourmet kitchen with built-in stainless steel appliances, granite counter-tops, custom cabinets and space for a wine fridge and wine rack! 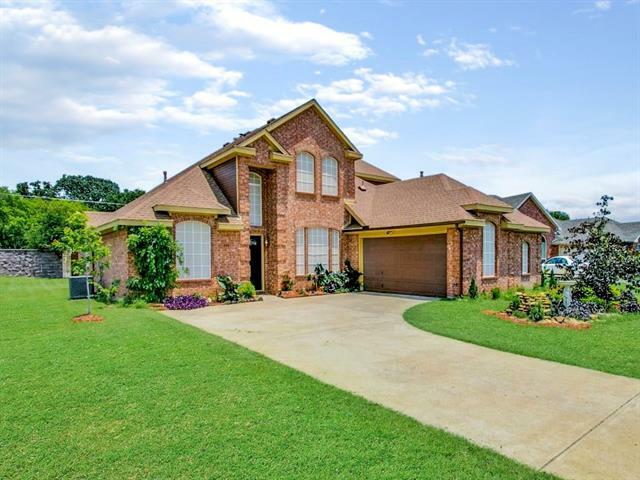 This homes boasts and upgrade front door and finished garage flooring!" "Beautiful home on a landscaped corner lot in an established neighborhood, close to shopping, dining, schools, and with easy access to highways. The elegant interior is accentuated by large windows, decorative lights, and ceiling fans throughout the home. 2 living areas downstairs and the second floor features a game room and media room. Kitchen has tons of built-ins and ample counter space. 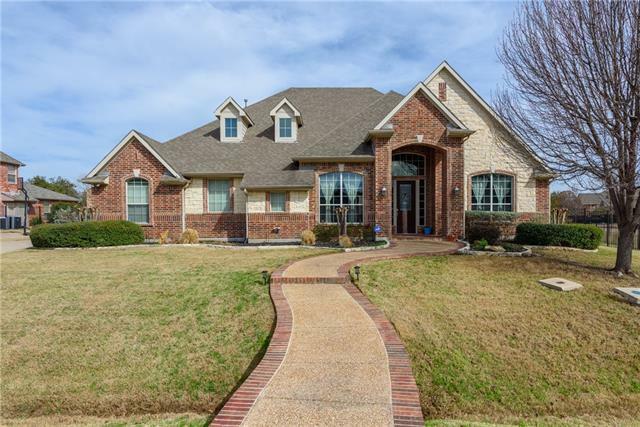 Master suite features a luxurious master bath with dual sinks, separate shower and vanities, and a garden "
"Nice 2 acre+ lot on Corp of Engineers property on Lewisville Lake. Value is in the land. 3 acres adjacent also for sale. Boat ramp nearby. Home is being sold as-is." 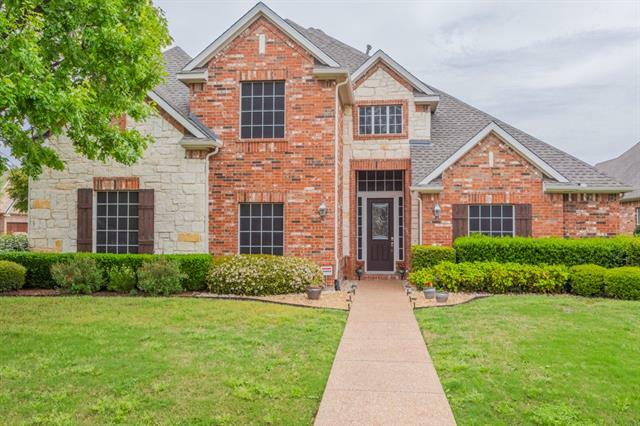 "Gorgeous, updated 5 bedroom, 4 bath, 3 car garage home on just under one half acre in Cielo Ranch! This one owner home has a stunning kitchen with gas cooktop and 10.5 foot island! Over sized bedrooms and walk in closets throughout this home. Secondary rooms are great for kids or multi generational living. Upstairs loft has been converted into a huge bedroom with a walk in closet, full bath and media room that is wired and includes acoustic insulation in the walls. Updated fixtures in the rotund"
"Spectacular! Half Acre corner lot on Cul de Sac. Updates are almost endless including: hand scraped hardwood floors, wood look porcelain tile in kit & dine, granite cntrs, granite sink with dedicated water heater, plumed for double or 60 inch range, large pantry, hand cut slate & mosaic tile, Travertine floors, wrought iron staircase, solar screens, updated baths with low flow toilets, cedar ceiling, marble floors, Travertine & more. Master suite boasts: bay window sitting area, WIC, dual sinks,"